Sometimes all you need is a little luck. 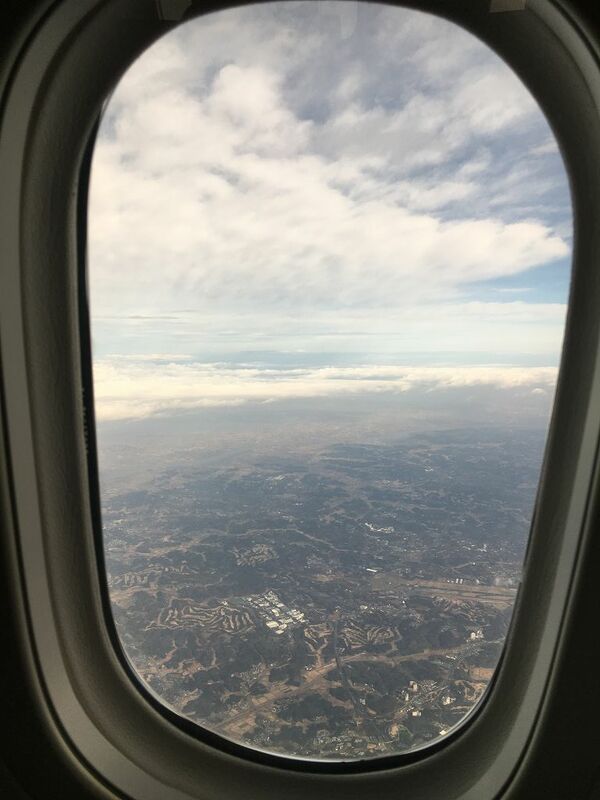 After a week with long nights full of pain, topped off with a drive in the ambulance and a night in den hospital (‘only’ gallstones, so no need to worry), the upgrade to business class for the flight back to Germany, was something I really appreciated. But is it worth a blog post? I hesitated writing and publishing this article, since it has not necessarily a lot to do with life in Japan. 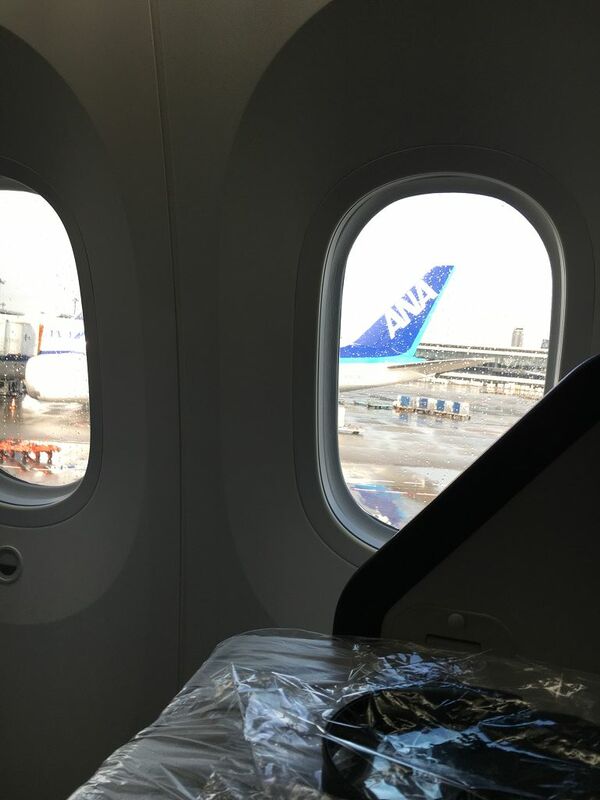 But since it’s the ANA business class I thought some people might be interested in reading about my experience. 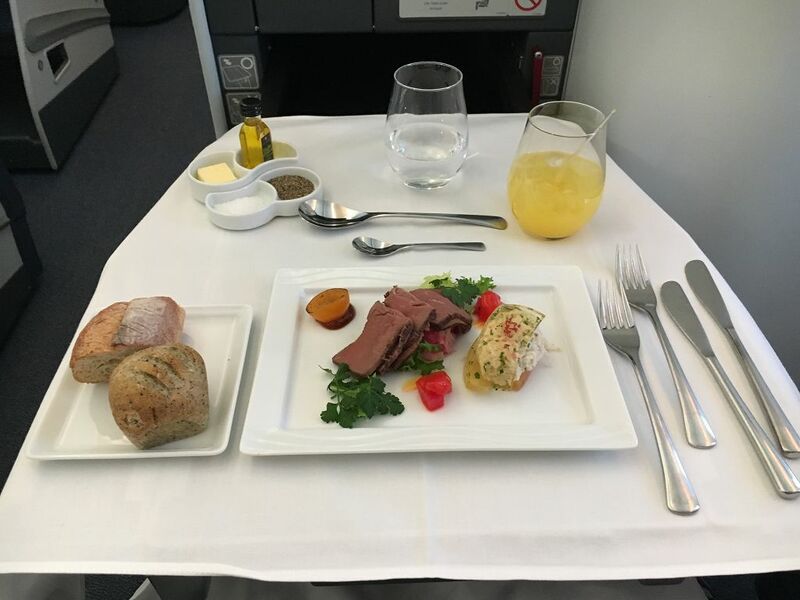 Even though probably most of you wouldn’t want to buy a business class ticket (just like I wouldn’t want to). 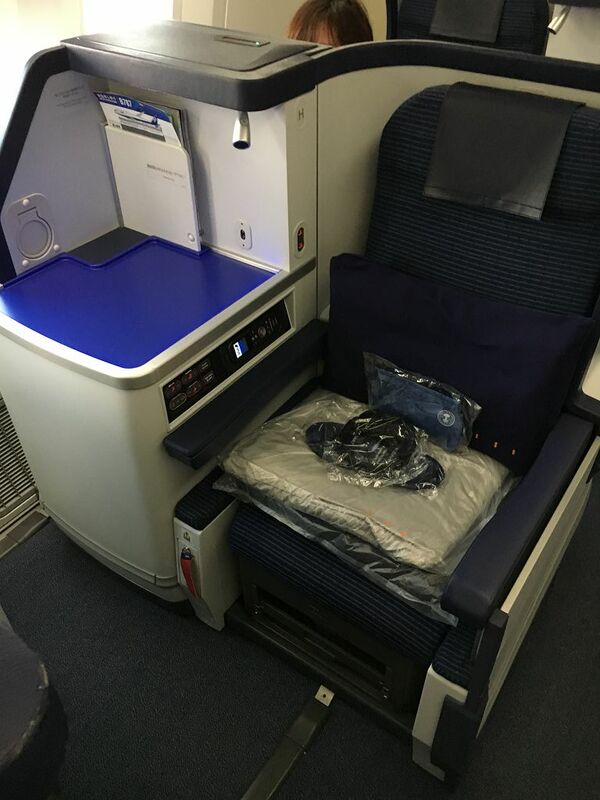 According to a website my husband found, the average lowest price for a business class ticket from Tokyo to Düsseldorf will set you back about 720.000 Yen, about 6250 Dollars or 5900 Euros (I know, right?). 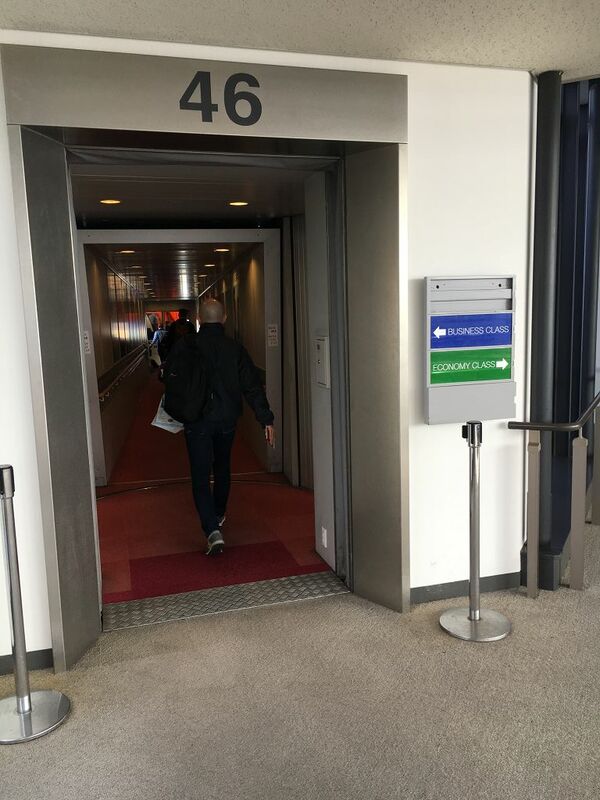 So how does it look, when you get to walk left in the gangway? 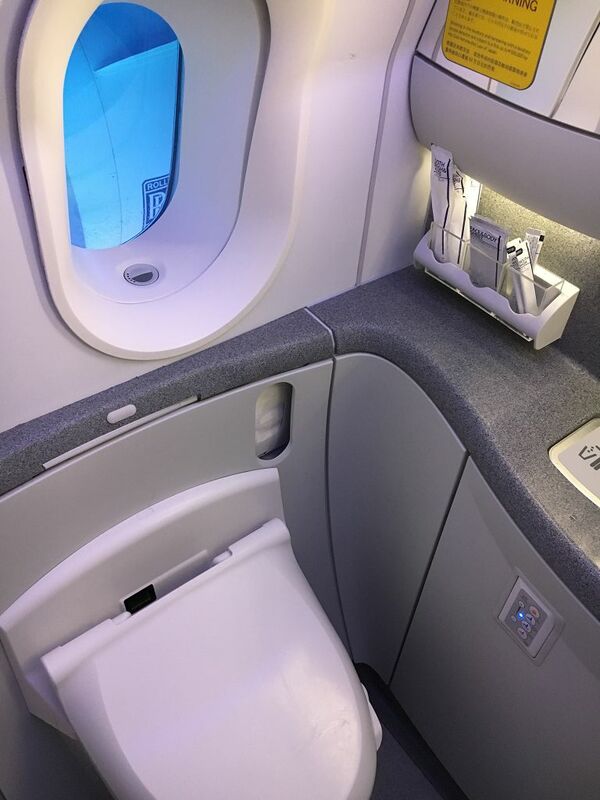 The seats give you a maximum of privacy in the confines of an airplane. 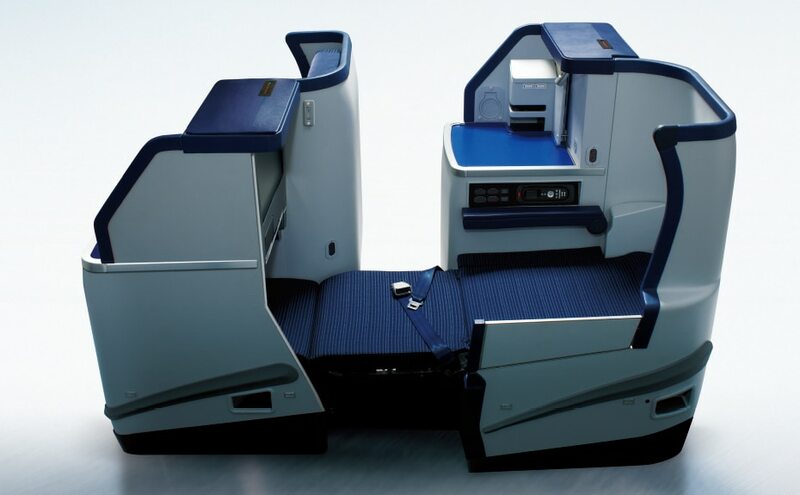 There are only three to four seats in a row, with a lot of space for the feet and a little table niche besides it. 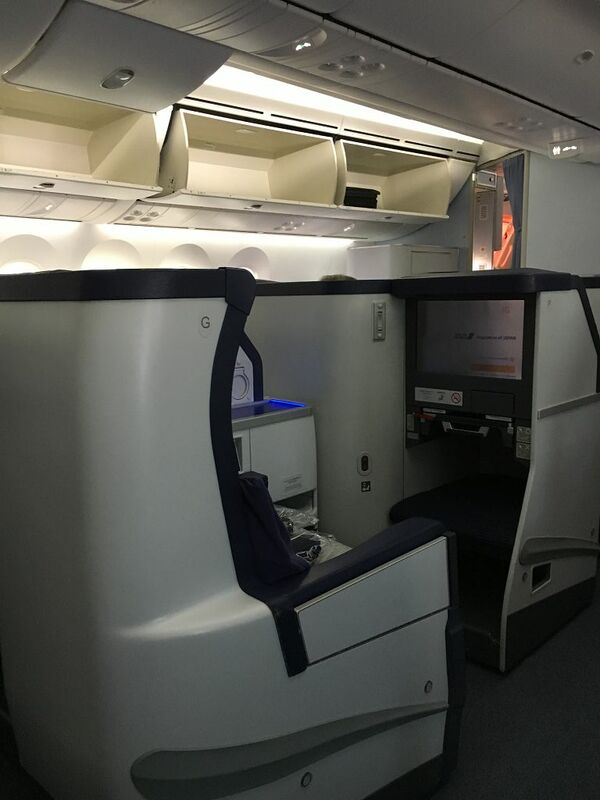 The screens are bigger than the ones in economy class and since no one is in a seat in front of you, you don’t have to crack you neck trying to see the movie in an awkward angle. On the seat I found a little mattress, blanket, pillow, slippers and a little pouch I was especially looking forward to, since I saw the upgrade the day before. In the pouch, which in itself is quite well made and pretty, are toothbrush, earplugs, eye mask, and cosmetics from Neal’s Yard Remedies. In the bathrooms (of course with a Japanese washlet) you will also find toothbrushes, mouth water and sheets for face and body. 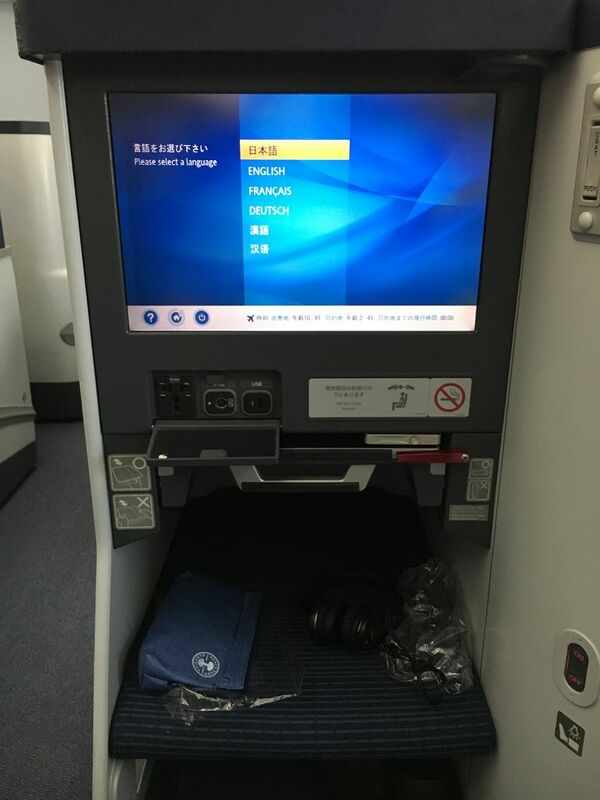 The seats are full flat seats and can recline to become a small bed. The mattress give it a little more plush and the blanket comes with a little baggy part for the feet, so nothing will slide, while you sleep. Even though it is thin, it was surprisingly warm, so with eye mask and ear plugs you can get cozy and lose yourself in your own world of dreams. Do you know Neal’s Yard? The cosmetic brand from the UK makes skin care with ethically sourced, fairly traded, pure natural and organic ingredients. In the pouch are the Bee Lovely Hand cream (10 ml), the White Tea Facial Mist (10 ml) and the Shea Nut & Orange Organic Lip Formula (4 g). They also come with a 10% coupon for the Omotesando flagship Store or the website. 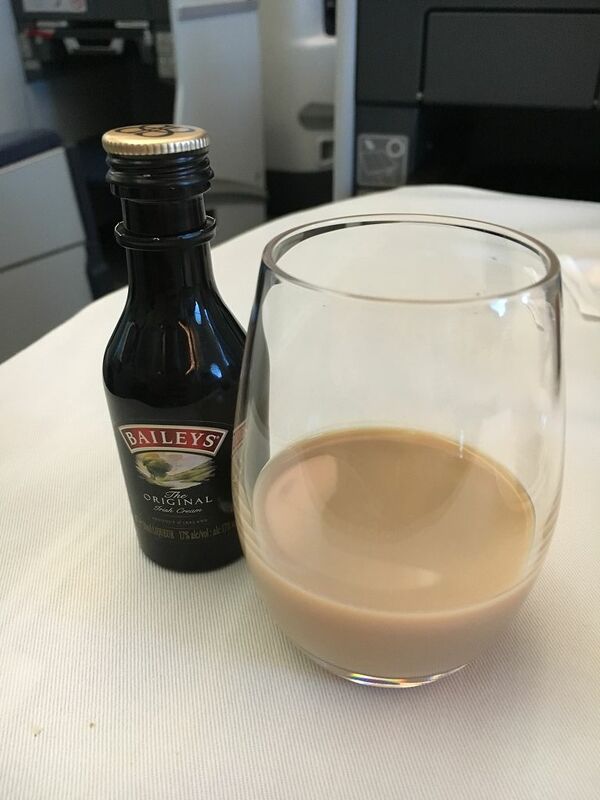 After boarding, every one of the stewardesses introduced themselves to each guest and brought a “welcome drink” (sparkling wine or orange juice). 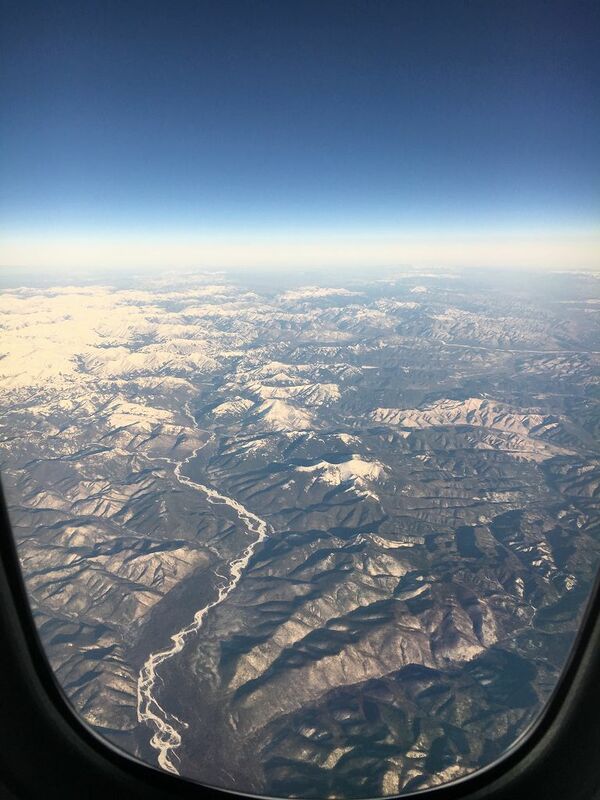 But I cannot say, that the stewardesses in business class are friendlier than the ones in economy, just because they are always so friendly there as well. After raising my hand or pushing the button, often more than one of them came rushing to me, to ask what I need. Shortly after take-off the preparations for lunch began. 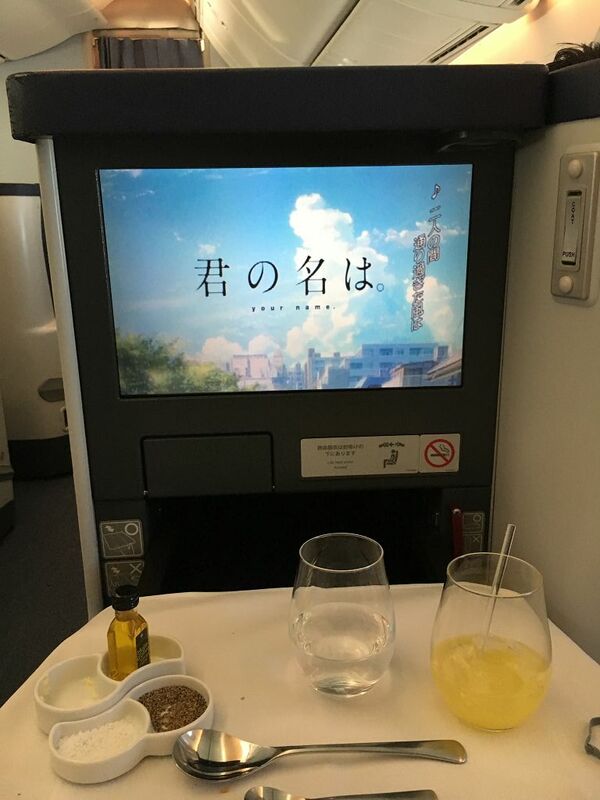 The flight attendants gave out the several pages long menu (in four languages: Japanese, English, French, and German) and put a tablecloth over the large table. A drink and food tray and that’s it? Not in business class. The meal began with a screwdriver cocktail and apéritif, consisting of Olives, cream cheese, apricot butter and sesame sticks. So good. 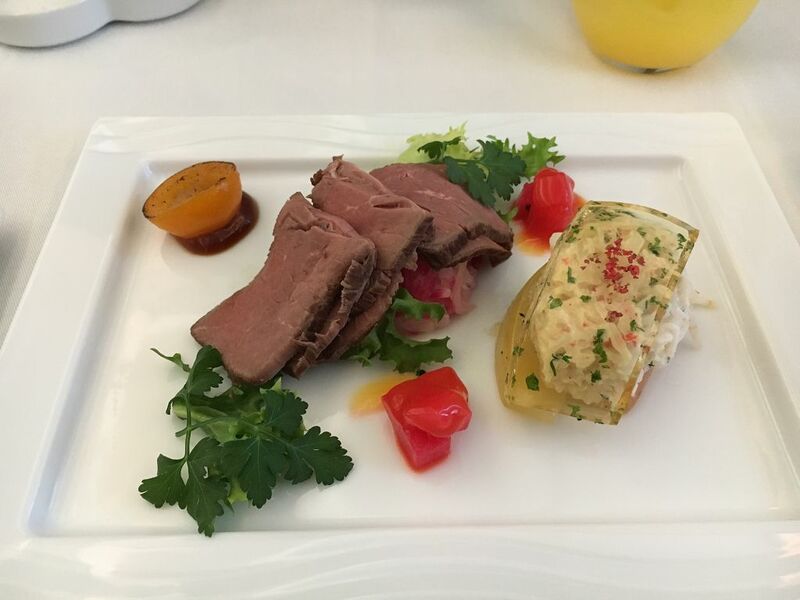 Then followed the appetizer, roast beef and snow crab salad with apple confit. The appetizer and apéritif would have been enough for me, if I am honest. For the main plate I chose the rolled Wagyu beef with shiitake mushroom and shallot soy-based sauce, which was served with three kinds of bread, Japanese Hiruzen jersey butter and olive oil. 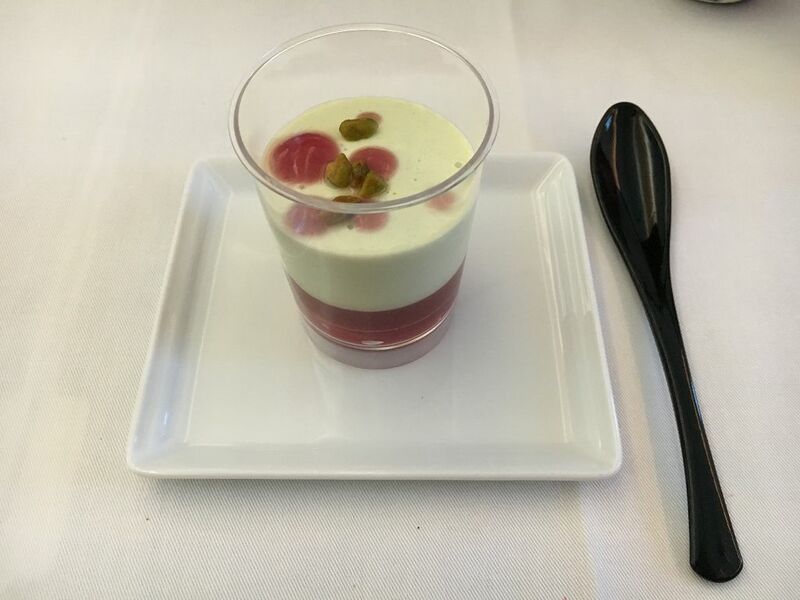 The dessert was a delicious pistachio and strawberry combination from a collaboration between Pierre Hermé Paris and ANA. 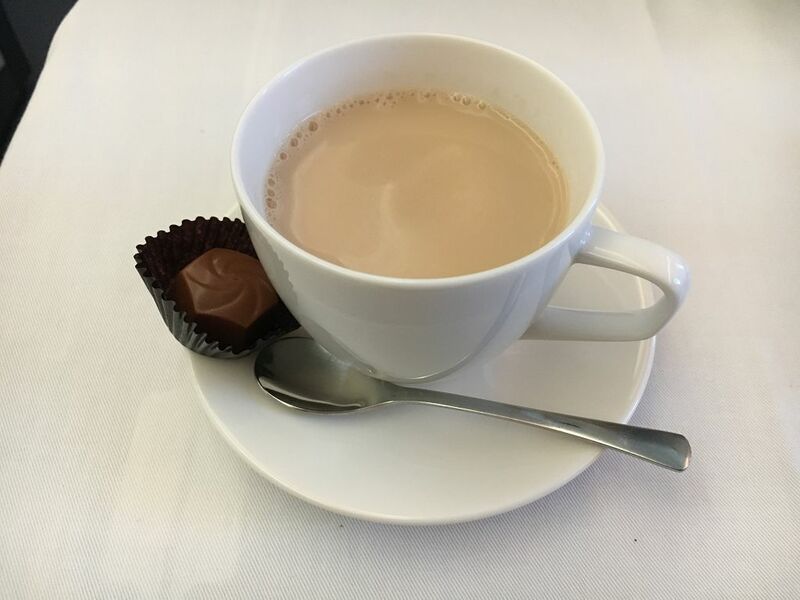 And of course there needs to be tea or coffee with the dessert, as well as a digestive after the meal. At some point I had four different drinks on my table and was then handed a bottle of water for later. 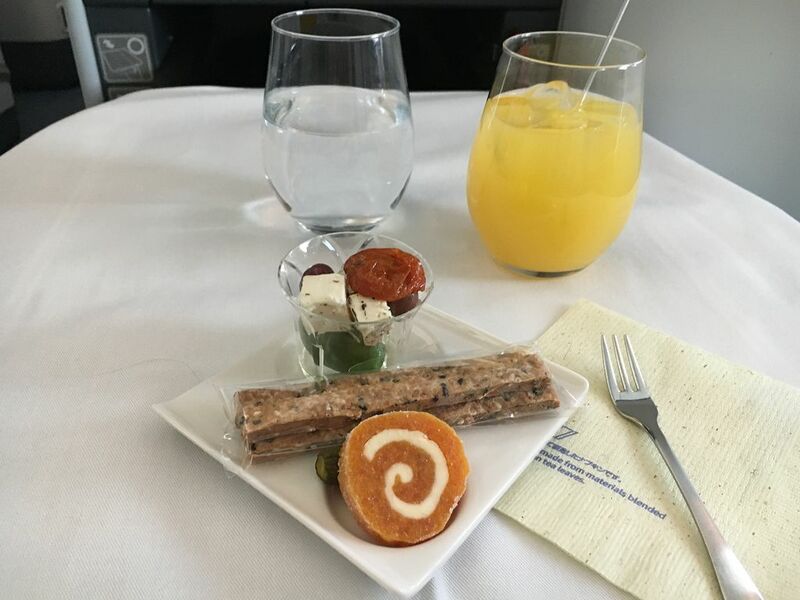 The nice porcelain dishes with beautifully arranged food on the white tablecloth feel like a visit at a high end restaurant, rather than a meal in a plane. Needless to say, I felt more than full after all this but enjoyed every bit of it. Something else I was really looking forward to, was the movie „Your name“ (君の名は？). You probably have heard of it, since it is not only a big hit in Japan, but all around the world. My husband and I wanted to see it in the cinema, but didn’t find the time the last weeks. After seeing it here, I can understand why it is so popular. A beautiful anime with lots of humor, gorgeous pictures and deep emotions. I can only recommend it! The menu has also a lot of light dishes you can order at any time. Here you can find another two dishes in cooperation with famous restaurants. The “Daichi” miso based noodle soup from Ippudo Ramen and okonomiyaki from Yonemura. I preferred the lighter dishes though (salad, cheese platter, fruits, or vanilla ice cream), since I was still so full from the opulent lunch. 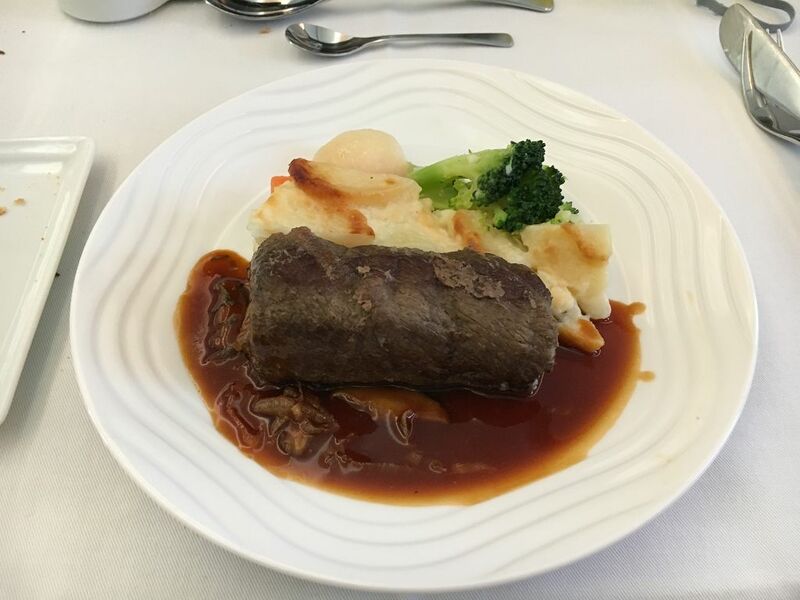 Before the landing in Düsseldorf, the second meal was served. A breakfast, but considering the time (landing was estimated for 3 pm in Düsseldorf) it really was a lunch as well. This time I chose the Japanese dish option. The appetizer: simmered daikon radish and lotus root in soy-based sauce. 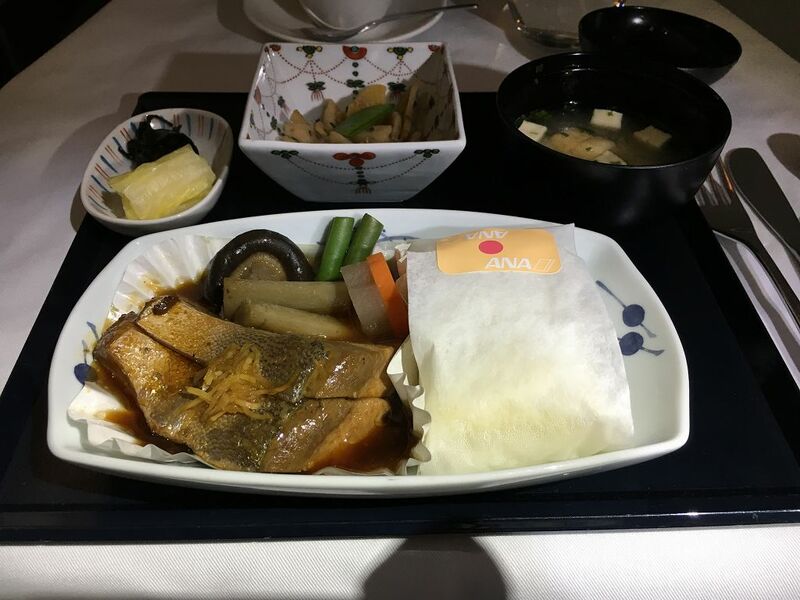 The main course consisted of simmered yellowtail in soy-based sauce with steamed rice, miso soup and Japanese pickles. 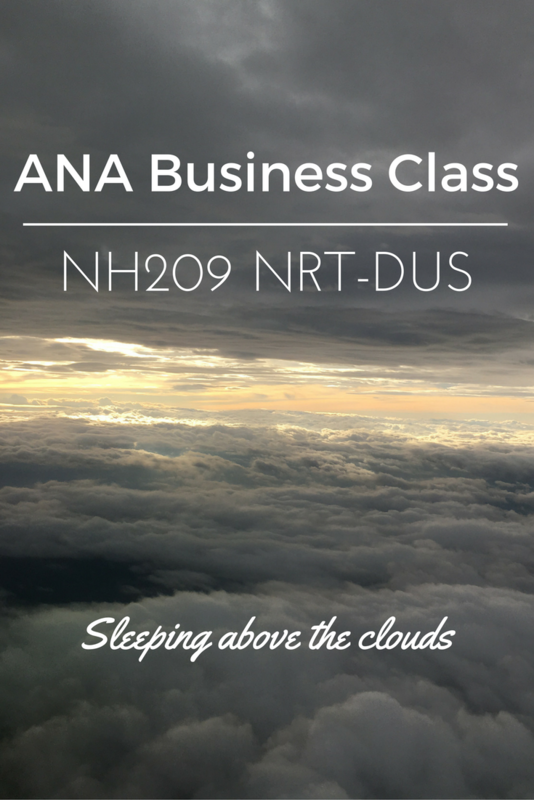 My impression of the ANA business class? The flight from Tokyo to Düsseldorf takes about 11 hours and 15 minutes. A long flight, especially if aren’t able to sleep. 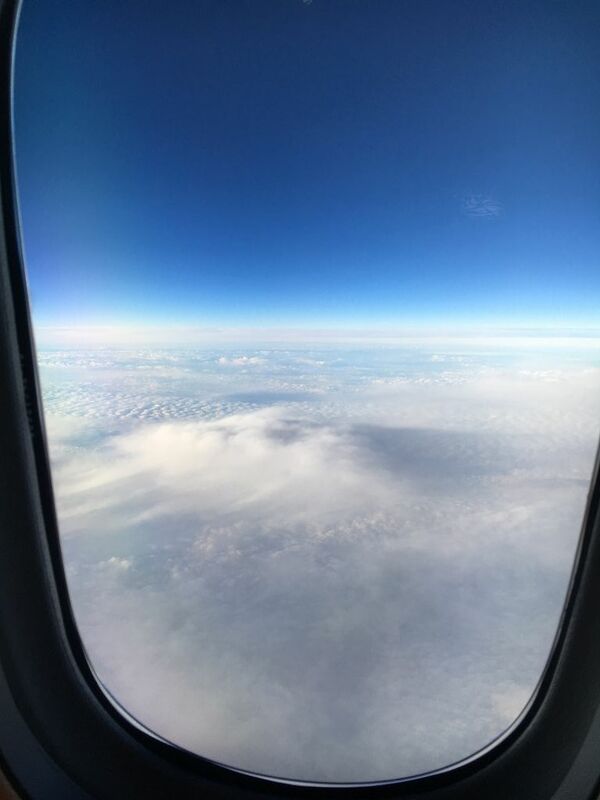 The last flights from and to Germany had been exhausting, even though the flight attendants are friendly and mostly all my seat neighbours were pleasant. 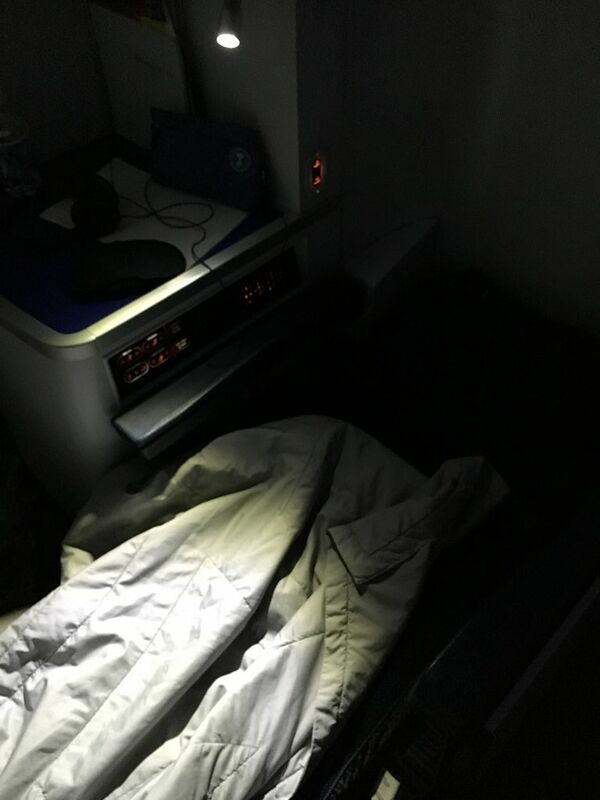 Therefore the absolute best feature of the business class was the bed, even though the food is a close second. It was nice to not have to worry about disturbing anyone beside me and having space to get out my laptop and write some blog posts. 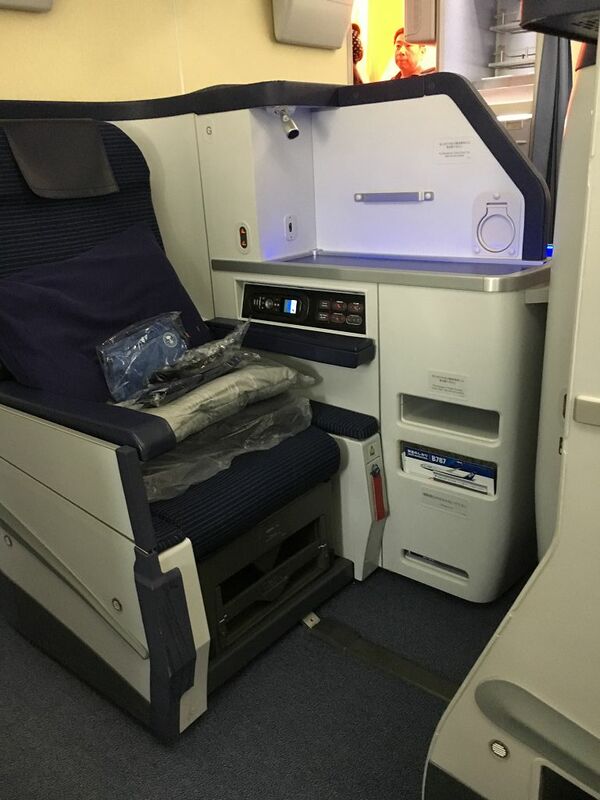 I probably won’t be flying business class in the near future (at least not till I win the lottery) so I thoroughly enjoyed this unexpected upgrade. Why is Life in Tokyo So Good for Foreigners? 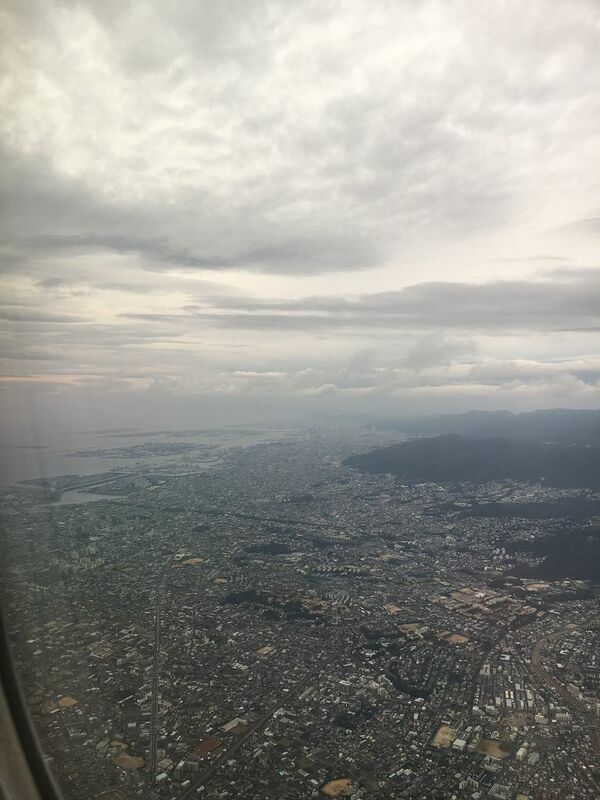 I think it was mostly thanks to the status from ANA and the very crowded plane. Wow! That looks so wonderful! I love the customer service on ANA though I’ve never flown business. What a wonderful experience! 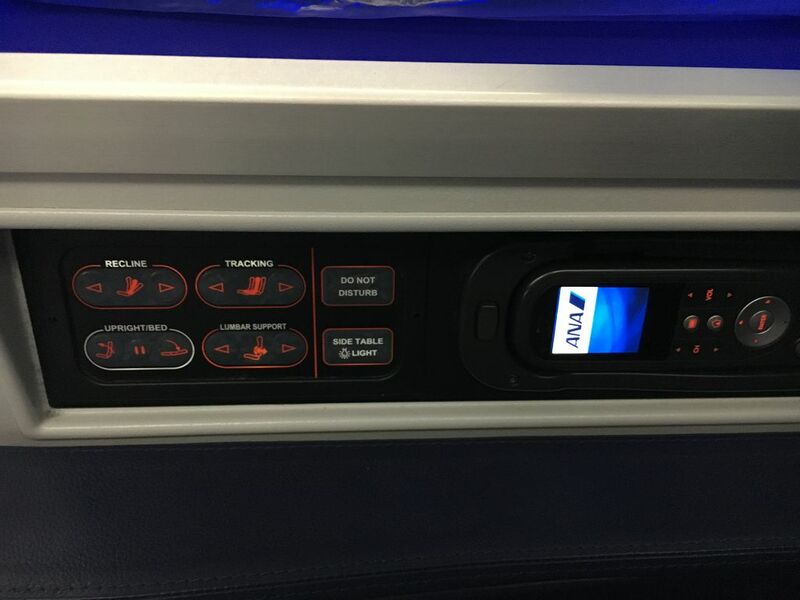 ANA always has great service in flight and on the ground, even the customer service via the phone. I am a big fan of ANA. 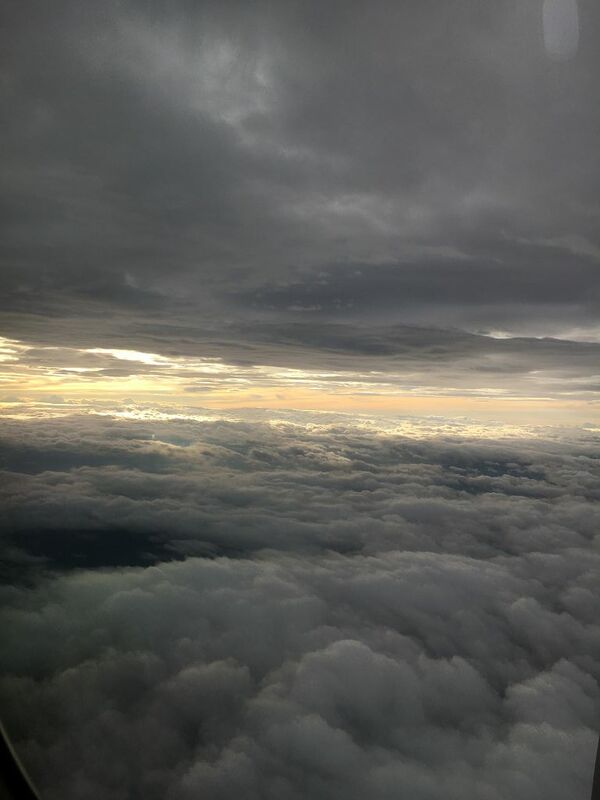 Check out my praise for ANA at “Flying to Japan – Useful Tips”! 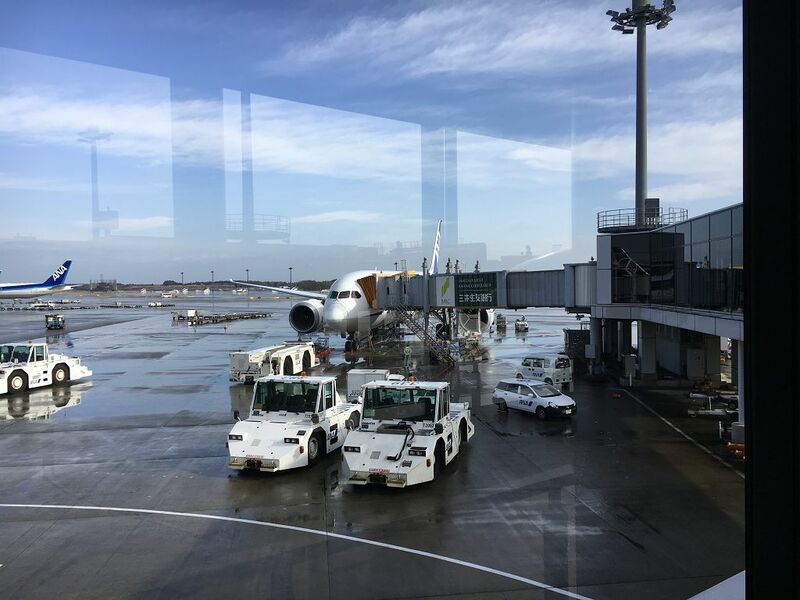 https://japaninsidersite.wordpress.com/2016/08/01/flying-to-japan-useful-tips/. Thank you for the comment. 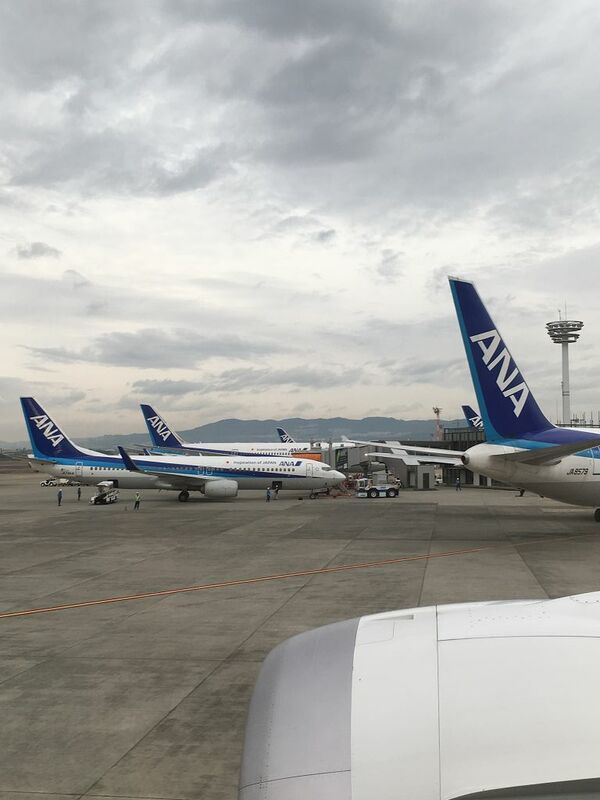 I agree, that Haneda is a lot more convenient for Tokyo and even though we also had our share of annoying customer service experiences, the ANA customer service is overall really great.